Nautica A15567G watch strap Rubber White - Order now! 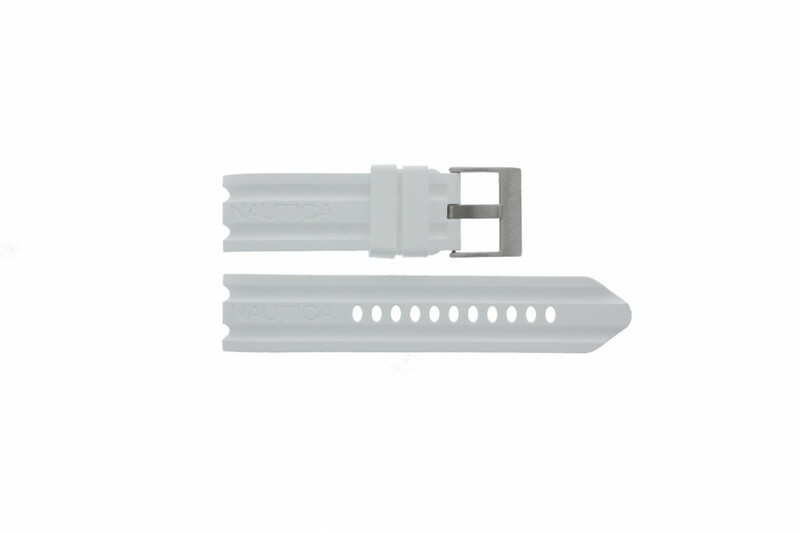 Nautica A15567G new watch strap Rubber White - This replacement watch strap from the brand Nautica, model A15567G is made of a strong plastic material and can be attached to your watch case by pushpins. This replacement watch strap from the brand Nautica, model A15567G is made of a strong plastic material and can be attached to your watch case by pushpins. This original watch strap fits only on the watch model A15567G from Nautica because of its specific shape. Please contact us if you have any question regarding this Nautica watchband or if you have other questions. Click on the 'Contact' button at the upper right corner of our website.